Be it Naxal or Pak Army attacks at LOC and mutilation of Indian soldiers and repeated denial to take onus, incidents are similar. What changed is dates and Govt. Before 2014 we had a Prime Minister who would not speak on anything at all and whosoever spoke on behalf of the govt would either condemn or strictly condemn horrifying attacks by Naxals on CRPF jawans or Pakistan Army attacks. We also had incidents before 2014 when Chinese army entered Indian lands. Govt, then, either kept shut or condemned or strictly condemned such incidents. With the PM Modi led BJP govt nation had the assurance, be it internal terrorists called Naxals, external Pakistan promoted terrorists or Pakistan and Chinese army, enemy, would be scared to dare India. And if at all they dare, PM Modi will give a befitting reply in response. Few incidents within the first 2 years of the BJP regime did assure that the present govt can answer China and Pakistan well by giving them the taste of their own medicine. 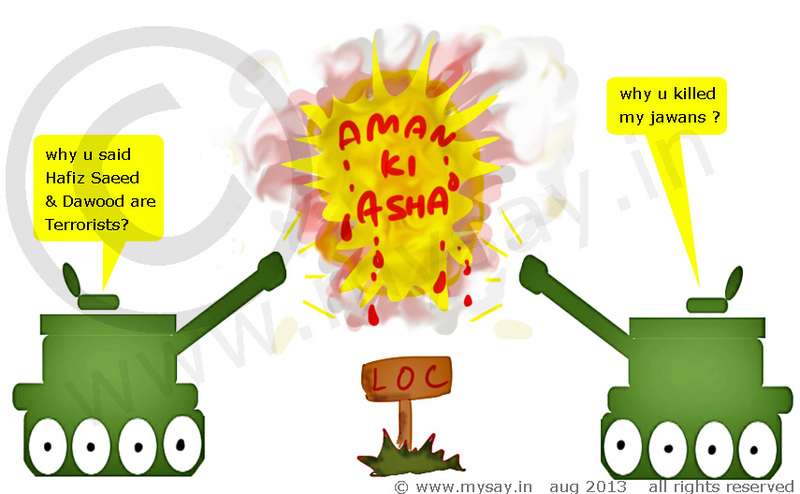 But, eventually, the number of attacks on LOC has increased by Pakistan, China has started flexing muscles yet again daring India on all fronts. The present govt which was not only vocal but has retaliated as well in the recent past to these neighbours has now started playing the same old card of Condemning and Strictly Condemning ! Even naxals have been aggressive as ever. Condemning would not bring CRPF jawans killed by Naxal’s back. 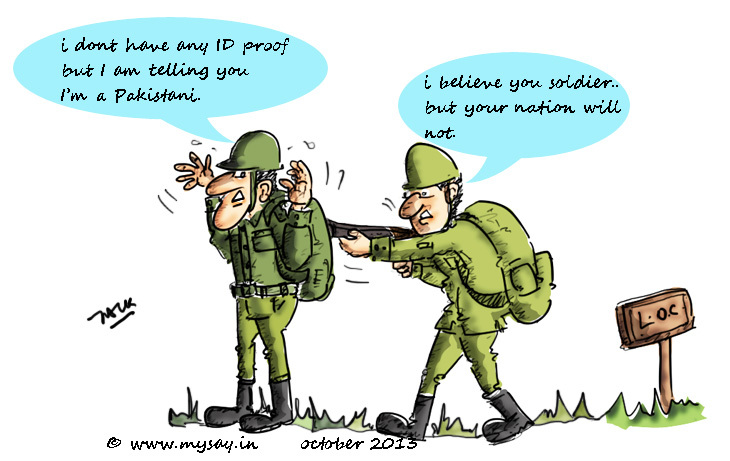 Condemning will not stop Pakistan’s coward army from mutilating bodies of Indian soldiers. Condemning will not stop China from playing dirty politics and claiming Kashmir to Kanyakumari everything as Chinese territory. And after all, if condemning was to be done, then what is the difference between the govt of Congress and the govt of BJP ? 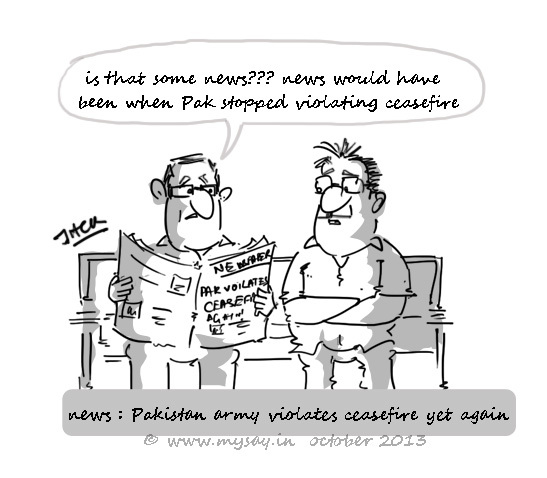 Pakistan army opens fire eight times in last four days ! Thankfully,no causalities have been reported so far . Tension continues along the border after 5 Indian jawans were killed by Pakistan army intruders who entered Indian territory of Poonch in Jammu and launched a severe attack.